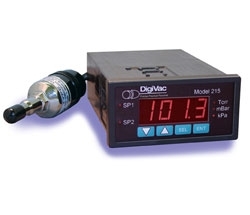 Digital Line of vacuum gauging- roughing gauges for vacuum systems. The Model 200 uses a thermocouple gauge tube. Capable of measuring 6 decades of rough vacuum. 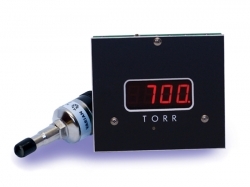 Measure range from 1×10-3 torr to 760 torr (atmosphere). Measurement sensor is a Varian 531 thermocouple with a 1/8″ MNPT Flange. The Model 100V uses a thermocouple gauge tube and is battery powered. Measure range from 1×10-3torr to 760 torr (atmosphere). Measurement sensor can be a Varian 531, Hastings DV-6M or a KJL 6000 on a 1/8″ MNPT Flange. Readings can be switched from torr, KPa or mBar. The Model 100 uses a thermocouple gauge tube and is battery powered. 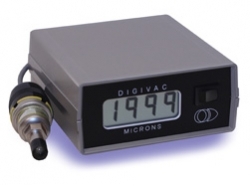 Measure range from 1 micron to 1999 microns. Measurement sensor is a Hastings DV-6M on a 1/8″ MNPT Flange. Good gauge for cryogenic applications. Readings are in mBar. The Model 215V uses a thermocouple gauge tube. Capable of measuring 6 decades of rough vacuum. Measure range from 1×10-3 torr to 760 torr (atmosphere). Measurement sensor is a Varian 531 thermocouple with a 1/8″ MNPT Flange. 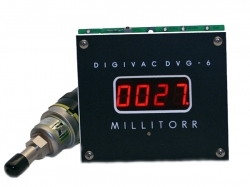 This unit comes with analog output and RS232 with optional ethernet. Dual setpoints also optional. Can also be CE compliant. The Model 200 uses a pirani gauge tube. Capable of measuring 6 decades of rough vacuum. Measure range from 1×10-3 torr to 760 torr (atmosphere). Measurement sensor is a VRC Pirani with a 1/8″ MNPT Flange. 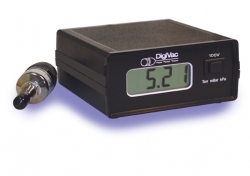 The Model 276 Dual Sensor including a capacitance manometer for precise measurement from 10 torr to 760 torr. This unit is also available with the ability to log onto a web page, Ethernet connectivity, RS232 communications, PC software that displays, plots and logs, and an analog recorder out. Measure range from 1×10-3 torr to 760 torr (atmosphere). 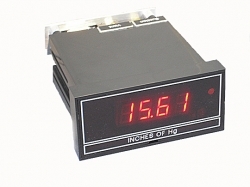 The Model 200P panel mount uses a pirani gauge tube. Capable of measuring 6 decades of rough vacuum. Measure range from 1×10-3 torr to 760 torr (atmosphere). Measurement sensor is a VRC Pirani a 1/8″ MNPT Flange. 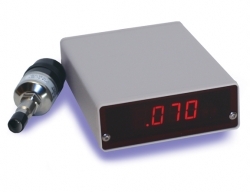 The Model 801W is a replacement gauge for the Varian 801W. The Model 801W uses a Varian 531 thermocouple sensor. 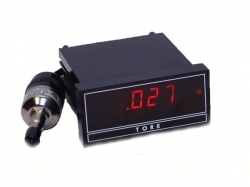 Measurement range from 1×10-3 torr to 760 torr (atmosphere). RS232 option and dual setpoint options are available. 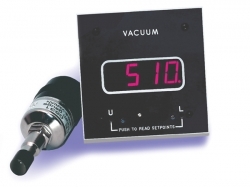 The Model 100LP29HG is an LED vacuum gauge capable of reading in inches of mercury. The sensor is Internal Piezoelectric transducer. The connection on the sensor is a 3/32″ hose barb. Call for options. 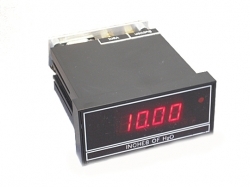 The Model 100LEDP10H2O is an LED vacuum gauge capable of reading in inches of water. The sensor is Internal Piezoelectric transducer. The connection on the sensor is a 3/32″ hose barb. Call for options.